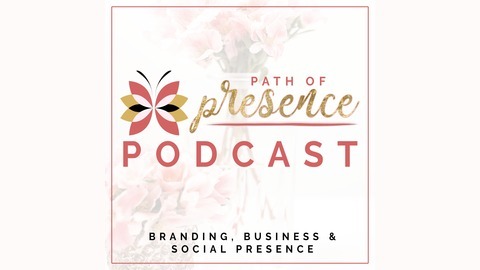 This podcast is for spirit-led, heart-centered, vision-based entrepreneurs, mompreneurs, womanpreneurs, solopreneurs, spiritual teachers, authors, bloggers and sojourners alike. In short, our podcast speaks to those who crave building a lifestyle business, enabling her to live anywhere in the world, to continue to serve and to build a tribe of like-minded, awakening and awakened individuals. 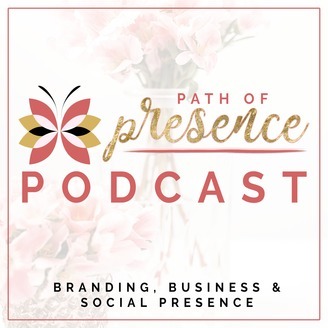 Our podcast will help you hone in on the latest tools and tips for the various social media channels, bring you up to date news on the latest social media changes, and help you determine which social strategy would work best for your business. We will talk about choice: the spiritual path of building an online community, challenges (and ways to overcome them), the tools available, and (on a process level) how to foster and hold space in the new platform of today’s media and technology In staying present and mindful to the journey of becoming, we aim to inspire and uplift you, adding balance and focus to your personal and professional ambitions, all the while, helping you stay awake through this process … and more! Please submit your questions / requests for the show at: Light@PathofPresence.com. DEEPENING GRATITUDE Step 11. Expression: Give whole-hearted thanks. DEEPENING GRATITUDE Step 22. Embody: Feel it. DEEPENING GRATITUDE Step 33. Exhale: Release gratitude. So to recap the three steps to deepening your gratitude practice again are: the practice of thanksgiving is to give thanks, feel thanks, and have no attachments to the thanks we give. — Rev. Evelyn ForemanStep 1: Expression: Give whole-hearted thanks. Step 2: Embody: Feel it. Step 3: Exhale: Release gratitude.